So it was in 2013, when new health insurance reforms and new health coverage options appeared on the Virginia landscape. Certainly it wasn’t news that change rather than stability was taking place. 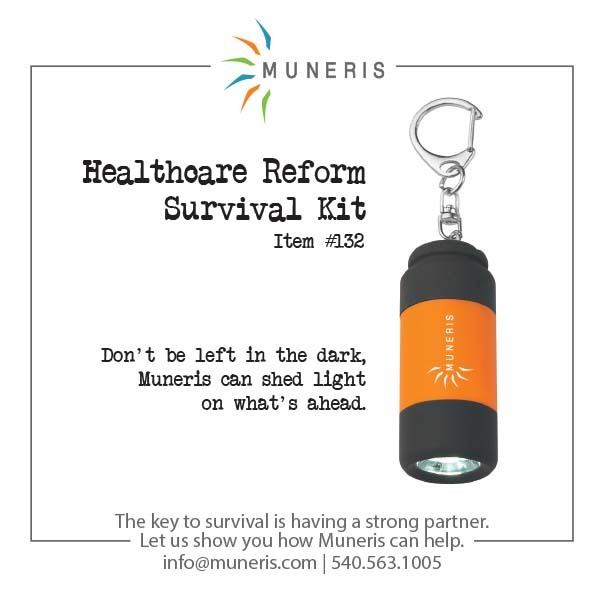 Muneris Benefits needed to tell the marketplace they were positioned to play a critical role in identifying and implementing a new “strategy for survival” during these confusing time.Their plan was to reach out to a group of 50 prospective clients with a message that focused on the current confusion in the healthcare market. 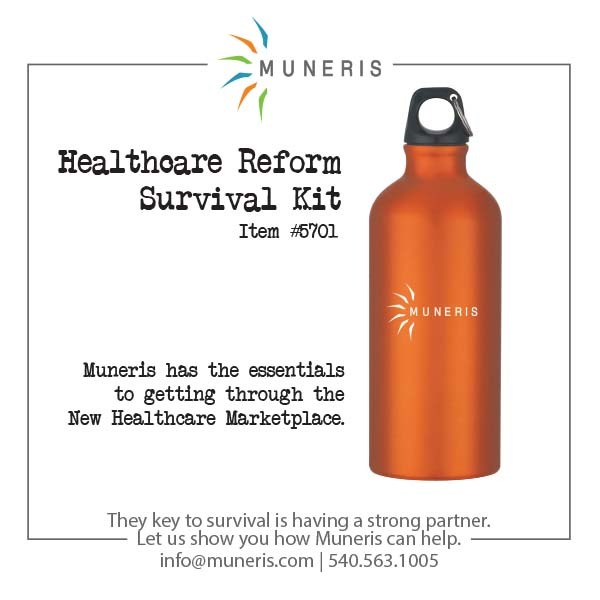 A message that also positioned Muneris as providing leadership and survival tactics in a changing health care environment.The next step was to talk to their marketing partner, B2C Enterprises, to enlist their help in creating a unique marketing communications strategy for reaching this target audience. Our team knew that if success was going to be achieved in reaching these busy decision makers, we had to get the Muneris message across quickly, concisely, and in a creative manner. 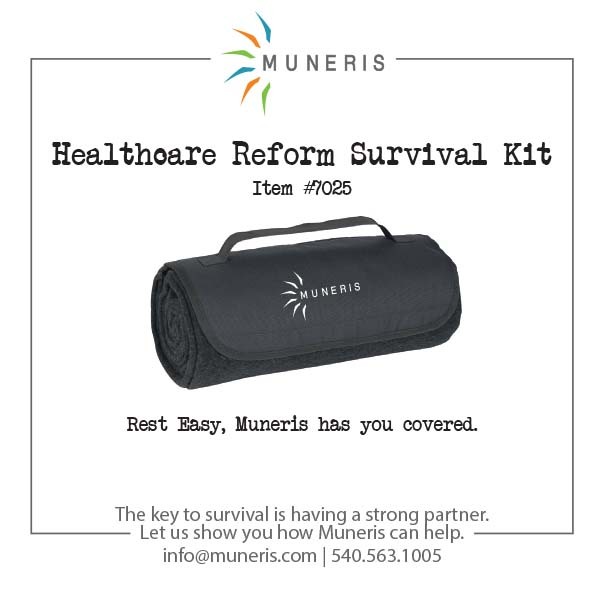 The solution: an appropriate selection of specialty items individually bundled into a hard-hitting direct mail package sent to each of the top 50 Muneris prospects. The campaign goal was to “open new doors” within the tightly defined group of 50 prospective clients.Following the campaign, Burman Clark stated: “The campaign was a tremendous success. It delivered two brand new clients. Additionally, the campaign provided an opportunity to schedule appointments with twenty-one other prospects."